No, that is not sarcasm or the setup for a surprise turn to a scathing column. I mean it. I appreciate the way the Alabama senator has represented this state during the ongoing debate over President Donald Trump’s ridiculous big, beautiful wall that Mexico apparently isn’t paying for. Shelby, a Republican, has remained remarkably above the fray. He has resisted his party’s tendencies to stray into bigoted speech about Hispanic immigrants or to overplay dangers imposed by the migrants seeking asylum. Maybe it’s not much. Hell, maybe it’s nothing more than a senator doing the job he’s supposed to do. But it sure is a refreshing change from the idiocy and hyperbole (and outright racism) of political hacks like Mo Brooks and the rest of the Republicans in Alabama’s congressional delegation. From Bradley Byrne’s pretend love affair with far-right politics to Mike Rogers and Robert Aderholt parroting whatever rightwing nonsense keeps their campaign donations rolling in, the anti-immigrant, pro-wall lunacy has reached peak levels around here. And none of them seem to care much about basic facts and common sense. No one seems to care that billions of dollars have been offered by the Democrats in Congress to secure the border — but to secure it in more substantial, meaningful ways using technology and manpower and some other type of barrier. Well, no one except Shelby. 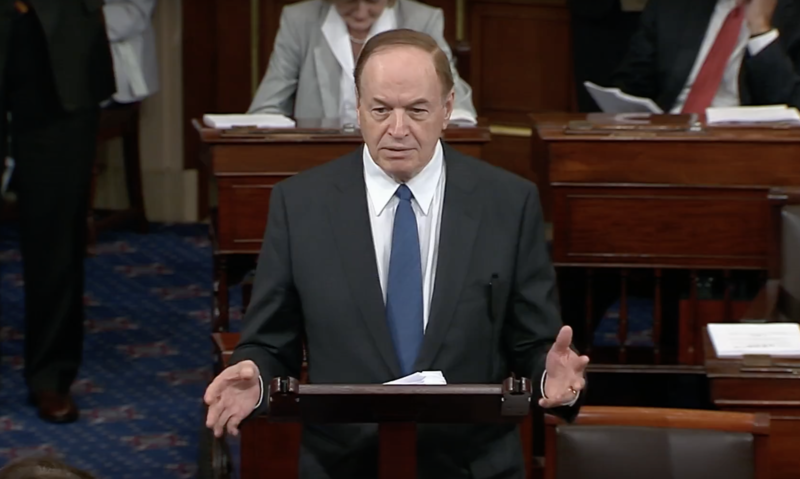 During a CNN appearance on Sunday morning, Shelby sounded remarkably sane compared to his Alabama counterparts. There were no bombs lobbed at Democrats. There wasn’t even criticism. And he didn’t overhype the border issue or discount Democrats’ offers of funds for other security measures. Instead — and this is going to blow your mind — Shelby, a Republican, wants to call experts before a bipartisan committee, hear their recommendations and then craft a bipartisan deal out of what they say. Translation: Maybe you don’t need a big, beautiful wall to create better border security. And check this out. Much earlier in the debate over this wall, Shelby encouraged his partymates to drop the hyperbole and name-calling. And he asked everyone to stop worrying about who came up with the solutions, so long as they were picking the best solutions and working towards a compromise. It has become more politically beneficial to politicians on both sides — but particularly those on the right — to resist any and all ideas from the other side. It doesn’t matter if they’re good ideas. It doesn’t even matter if they’re ideas that your side had last week. Compromise has become a sign of weakness. And it must be avoided, even if 800,000 government employees are eating in soup kitchens. But there are a handful of politicians willing to work towards a solution to the country’s biggest issues. People who know they won’t ever agree 100 percent with the other side, but they’re willing to give it a shot, see if they can get to something everyone can live with. Those people make the U.S. government work. For at least this impasse, Shelby has been one of those people. And in the words of Carl Spackler, consider this a little something for the effort.